General Info: The library is open and ready for checkout! Students can pick up a pass to come to the library before school or at lunch. Before school, passes will be available in the cafeteria from the monitor at 7:45. For a lunch pass, students are asked to pick one up on their way to the cafeteria. They may come to the library after they have eaten. Students do not need a pass to come to the library after school. 2019 Lone Star and Maverick books are here! 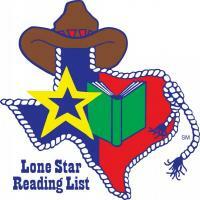 ​Click the links above to see the 2019 Lone Star and Maverick Reading Lists from the Texas Library Association. ​These are just some of the new books that arrived in March/April. We are looking forward to the rest of the items ordered for the year including an additional new display. I am currently reading The Secret Keepers by Trenton Lee Stewart. It was recommended to me by one of my library regulars, Julia D., a 6th grader. I previously read The Mysterious Benedict Society also by Trenton Lee Stewart and really enjoyed it. 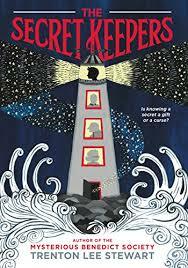 The Secret Keepers tells the story of 11 year old Reuben and a mysterious object with special powers he has discovered. He embarks on a quest to discover the origins of the object and the owner only identified by the "P. William Light." He soon discovers P. William Light is not a who but a where, and that multi generations of the family that reside there are connected to the mysterious object and a family secret. I can't wait to finish it to see what Reuben uncovers and the object and the family secret! Don't forget to turn your box tops! Box tops directly benefit the Small Library. Drop them off in the front office or in the library. We have received $140 so far this year from your box tops. We are currently reading independent novels and discussing/recommending each week. We meet on Wednesdays, during PRIDE in the library. We'd love to have some new members, see Ms. Sylvia if you're interested. Congratulations on your new Austin Public Library Card! Take a picture of your card number! REMINDER: No fines on children’s and teen materials-only adult materials! Click the link to the left. Install free Overdrive Media Console app on any device. On the welcome screen, click "I am under 13". password for all: small (all lowercase). You can also access free eBooks through MackinVia. MackinVia is accessible on your computer and through the downlable app as well. Student User ID: Student # WITHOUT the "S"
Student Password (same as ID): Student # WITHOUT the "S"
Staff User ID: Employee # WITH the "E"
Staff Password (same as ID): Employee # WITH the "E"